In Florida, it is legal for you to loan your car to someone else to use; you can even loan your rental car (even though it’s a vehicle you don’t own) to another person to drive. Whether you live in Florida or are visiting for business or on vacation, sharing a car between drivers is permitted and it happens all of the time. However, what happens if the non-owner driver gets into a traffic accident? Can you the owner be held legally responsible for that crash even if you weren’t there and you weren’t driving? Even if someone died in that accident? The answer to these questions is, yes. In Florida, the courts have established the “dangerous instrumentality doctrine” to apply when there is an accident caused by a driver who does not own the vehicle he or she was operating at the time of the crash. Florida judges have imposed the dangerous instrumentality doctrine in Florida traffic accidents in order to protect accident victims when they are in a crash and the person who caused the accident does not own the vehicle. Otherwise, those victims might not have an avenue for financial compensation and coverage for the injuries and damages they have sustained through no fault of their own. As a general rule, Florida imposes “vicarious liability” upon an owner when the owner allows someone else to drive their car (or truck or SUV). The owner takes the risk that the non-owner driver will be involved in a crash and be found to be the negligent cause of that accident when you toss them your keys. This is true in Florida even if you, the owner, are not aware that “vicarious liability” laws exist. Are There Many Defenses to Vicarious Liability? There are exceptions to the imposition of vicarious liability in Florida, but they are limited and the burden of proof is high. For instance, there is the “beneficial ownership exception” where the law holds vicarious liability does not extend to someone who had no ownership or legal control over the vehicle at the time of the crash. Here’s an example: you have sold the car to Bad Bad Driver but before you can get the legal title to the car transferred officially, Bad Bad Driver has already been in a wreck. Florida courts won’t hold you legally liable for Bad Bad Driver’s negligent driving because of the “beneficial ownership exception” to our vicarious liability laws. See McAfee v. Killingsworth. According to the Florida Supreme Court, the owner of a motor vehicle will be held legally liable for the negligent driver who was driving the owner’s car unless the owner can show they were NOT in a position to exercise dominion or control over the vehicle. However, proving this exception can be very hard to do. What about rental cars? It is well settled here in Florida that if you rent a vehicle here and then allow someone else to drive it, you will be legally liable for any driver who operates that car with your permission for injuries sustained by a third party in a crash caused by that driver. See, Chandler v. GEICO. Also, legal responsibility for the victim’s damages may also be shared by the company that loaned you the car, as well, under Florida law. 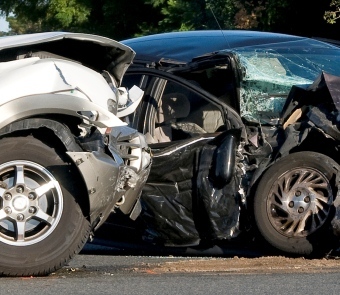 A good piece of advice if you have been hurt in a car crash involving a non-owner driver is to at least talk with an experienced personal injury lawyer to find out all of the compensation that you are entitled to receive for your injury. This is especially true for clients who seek to settle an injury claim on their own. Most personal injury lawyers, like Alan Sackrin, offer a free initial consultation (over the phone or in person) to discuss your case and answer your questions.